In February 2016, I discovered a brand of clothing called LuLaRoe (LLR)…and quickly fell in love. But here’s the thing, you can’t buy it directly from the website, and they don’t have a storefront. You have to buy it from consultants. They mostly sell them through Facebook groups and through in-person “pop-ups”, where you invite friends and y’all shop together. Also, each consultant has different things, so I’m in probably 100 LuLaRoe consultant groups on Facebook. There are a limited number of styles, and there are various fun prints in each style…the consultants order the styles and sizes from the warehouse that they want to sell, and they don’t know what prints they are going to get…surprise! So you have to keep your eye out in many groups!! 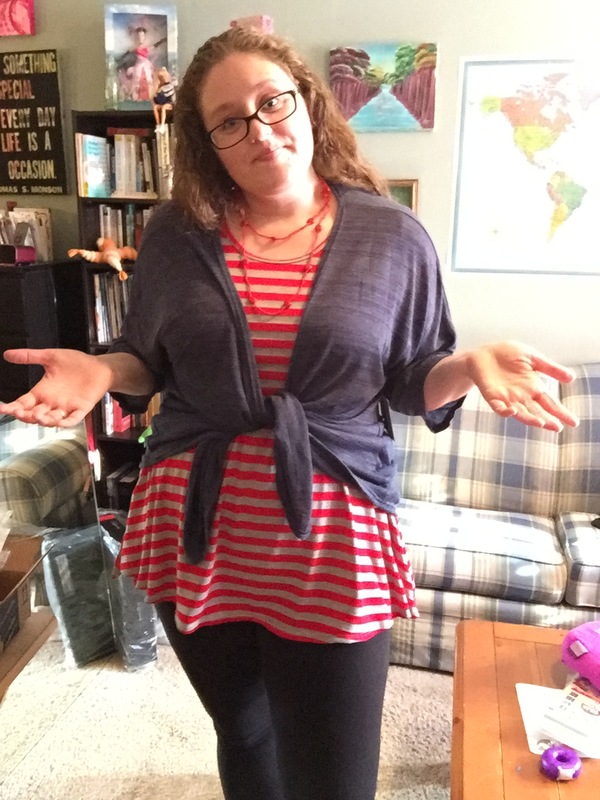 Now, I have a LOT of LuLaRoe…but not as much as I want, of course! I have started to wear it to work every single day. EVERY. SINGLE. DAY. 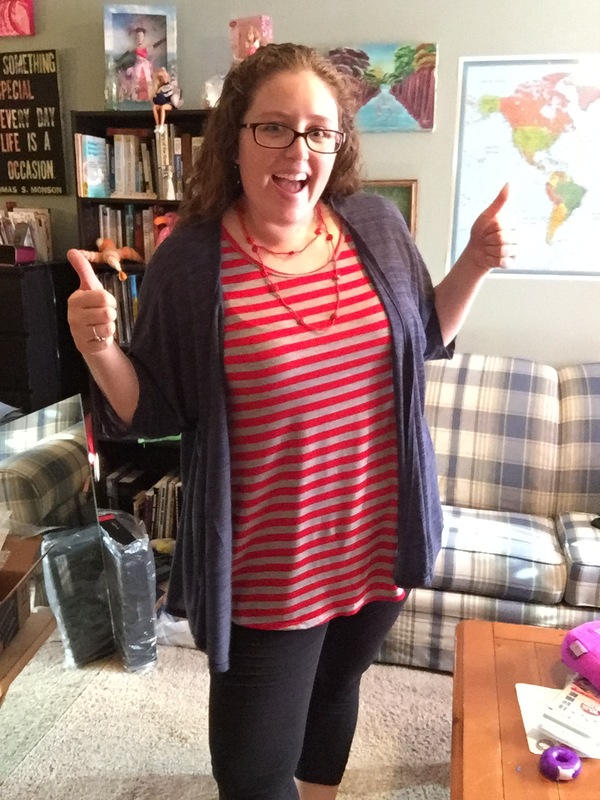 I’m a high school life skills special education teacher and I move a lot…and these clothes are so comfortable and stretchy! Look at the pink pins on the map and choose a consultant in your area. Contact her, go there, and try on clothes to get your sizes in all of the styles. You might have to find more than one because they don’t all have the same styles. YOU WILL LOVE THEM!!! You might end up buying some then and there! Time to join Facebook groups! A great starting point is Alissa Donnell’s page. Her link is https://www.facebook.com/groups/LuLaRoeAlissa/ and it’s called LuLaRoe Alissa aka Mrs. Fancy Pants. Check out when she is posting her next round of clothes, and get something for yourself! Her page will explain how it all works once you get there. Once your addiction begins, you will find yourself in a ton of LuLaRoe groups on Facebook, on the hunt for that one print that you MUST have. When I went to the consultant to try things on, she gave me a sizing sheet that I keep and fill out as I try things on. Most people can fit multiple sizes! If there isn’t a consultant in your area, I will tell you that every consultant I have come across on Facebook has been GREAT at helping me figure out my size in a style I haven’t tried yet. Alright, time to show off. The clothes are named after people, by the way. Okay, Alissa sent me some LuLaRoe clothes for free so I would write an honest review, and here it is! I picked out 2 items I knew I would love, and she sent me one that I’d never tried before to see how I liked it. First, I chose the Maxi skirt. I already had 2, so I knew I would love it. Then, I chose a Cassie. It’s a pencil skirt that I thought I would never love, but I already had 3 and loved them, so I chose that! Then, she surprised me with a Lindsay! I had always been afraid to try it, and so she sent me one! She said “I added the Lindsay because I love her but she does not get the love she deserves – hopeful you love!” And she was right…I fell in love immediately! I wear a 2XL Maxi. I wear a 2XL Cassie. I can fit the XL in both, but they are just tighter and I prefer them a bit looser. I wear a Medium in Lindsay. Here are pics of it all. The Lindsay! As soon as I opened the package, I HAD to try it on. The Lindsay is the blue one that I’m wearing. 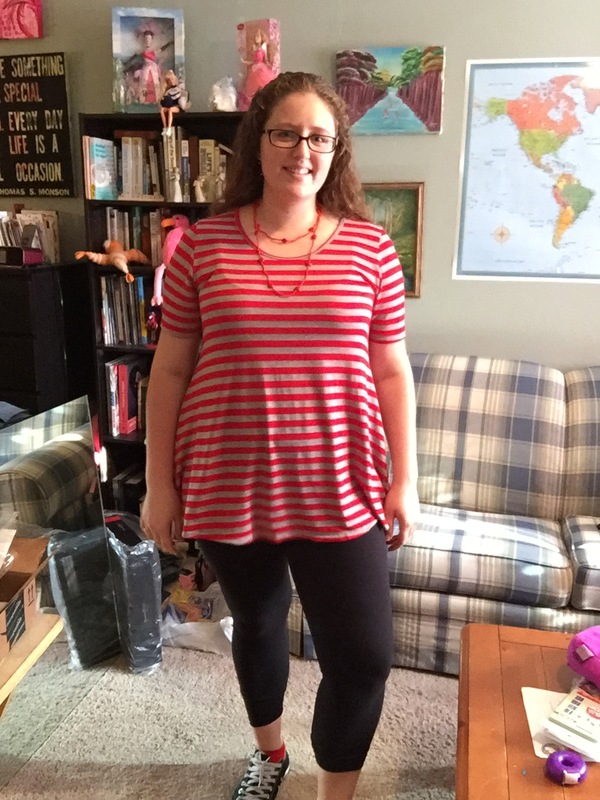 I was already wearing LuLaRoe leggings and a LLR Perfect Tee, so I added the Lindsay right on top before I even took off the tag – It was perfection! I tried to tie it, which looked great from the front and back, but not so great from the side. But it’s an option. I love this new piece!! Alright, here is the gray Maxi skirt WITH the blue Lindsay!! So comfortable. In these, I am wearing a LLR Maxi skirt, LLR leggings, a LLR Lindsay, and a shirt from Old Navy. So comfortable all around!! Oh, also. If you go to youtube.com and search “LuLaRoe Maxi skirt” you will find video of MANY different ways to wear your Maxi. As a shirt, as a dress, as a cover-up, and so much more. DOOOOOOO IT. Now, that Cassie skirt I mentioned. When I saw that LLR had a pencil skirt, I was skeptical. I don’t like to walk around with my legs glued together. But, LLR’s Cassie skirts are suuuper stretchy and sooo comfortable!!! Check out this adorable skirt! 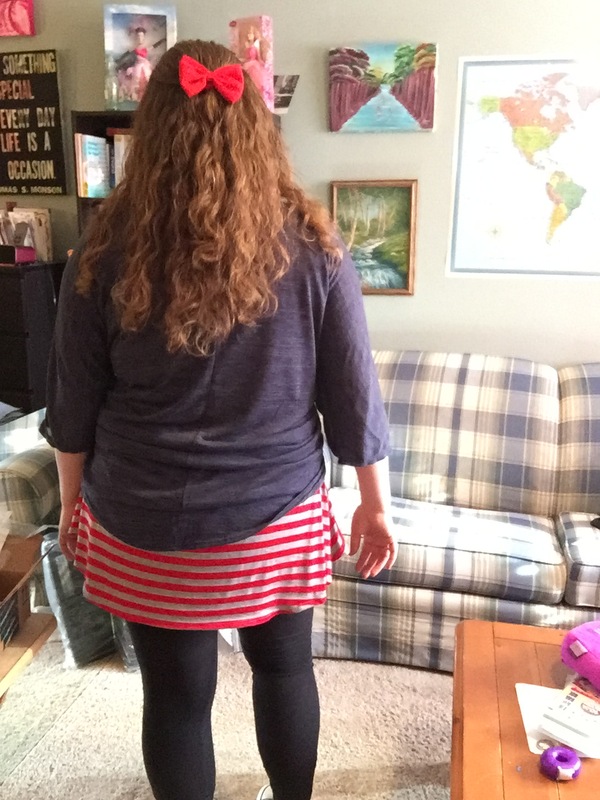 In these pictures, I am wearing a LLR cassie skirt, LLR leggings, and a shirt with a Halftee under it. And I’ve got the LLR Lindsay on in one of the pics. I think this video might help you realize how much I love LLR’s Cassie skirts. In case you didn’t watch that video…you should know that it’s important to hang dry all of your LLR. Machine wash, hang dry. Alright, Alissa was smart to do this deal where I get LLR in exchange for an honest review…because, honestly, THESE ARE AMAZING AND YOU NEED THEM IN YOUR LIFE. I was doing stuff around the house and I got a little bit cold, so I put on my Lindsay and it was so comfortable just to lounge around in, too! 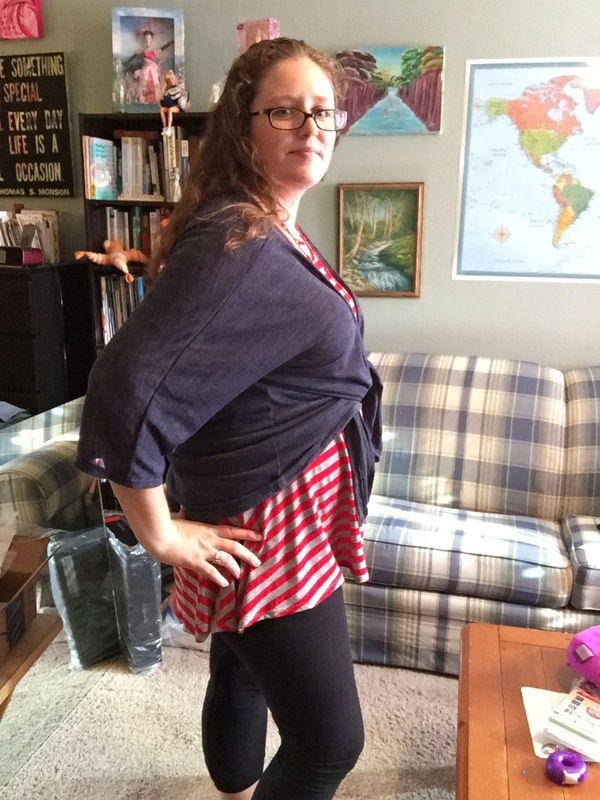 I wear the Lindsay with so many outfits…here it is with an Old Navy t-shirt, a LLR Cassie skirt, and LLR leggings. I love LuLaRoe. So versatile. I like how the Lindsay is light, so I can carry it around with me easily in case I get cold. Here I am in Romania enjoying langoși cu telemea și marar, wearing a LLR Cassie skirt, LLR leggings, LLR Perfect Tee, and LLR Lindsay. I am definitely LuLaRoe Lovin’. Click here to get to Alissa’s LuLaRoe page and to get your LLR collection started – you won’t regret it! I’m slightly addicted. Newest obsession is also Cassie.. so genius. Everything is comfy and flatering. I was skeptical about the price at first also but once I tried the leggings, I was IN LOVE!!!! I have yet to try the dresses and skirts but I can’t wait! I totally agree. I was recently introduced to LLR and let me tell you – it escalates quickly!!! 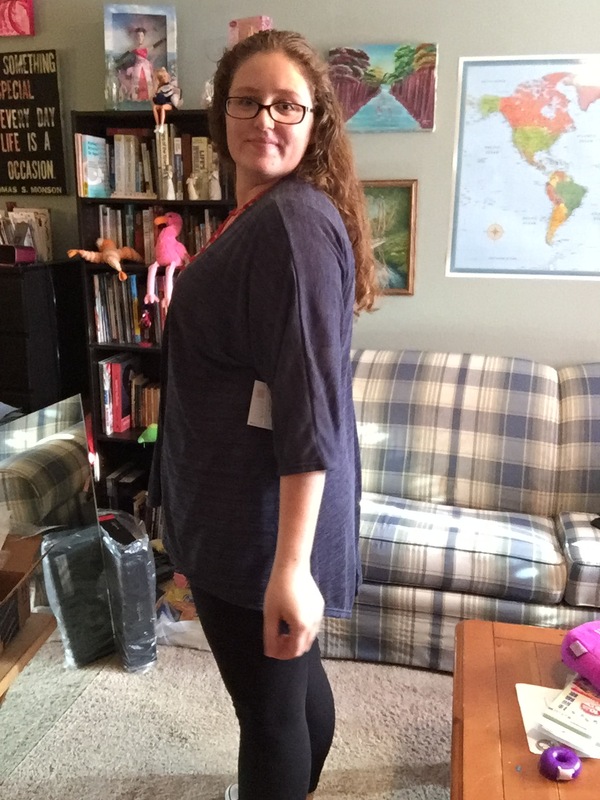 When I tried on my first pair of LLR leggings, it was amazing! The texture was so soft and I couldn’t stop feeling my legs! Even the inside of the leggings was so soft! I also have an Amelia and I love how comfortable it is. The design is so beautiful. I want more LuLaRoe! It’s so easy to become addicted. I would buy so much more but I’m in Romania so my friend has to bring it to me when she comes to visit. Great post! Im a LLR lover an like you usually only buy clearance or sale clothing. I bought my first pair of leggings to “help a friend” thinking the whole time how expensive they were. Now I own 18 pairs and 4 skirts. I take VERY good care of them and wash by manufactures guidelines. These are precious to me! So worth the price, although my daughter thinks they are cheap, price not quality, to me they are $$$$ but worth it!! That sizing sheet is awesome to keep track of the styles! Love Lularoe! 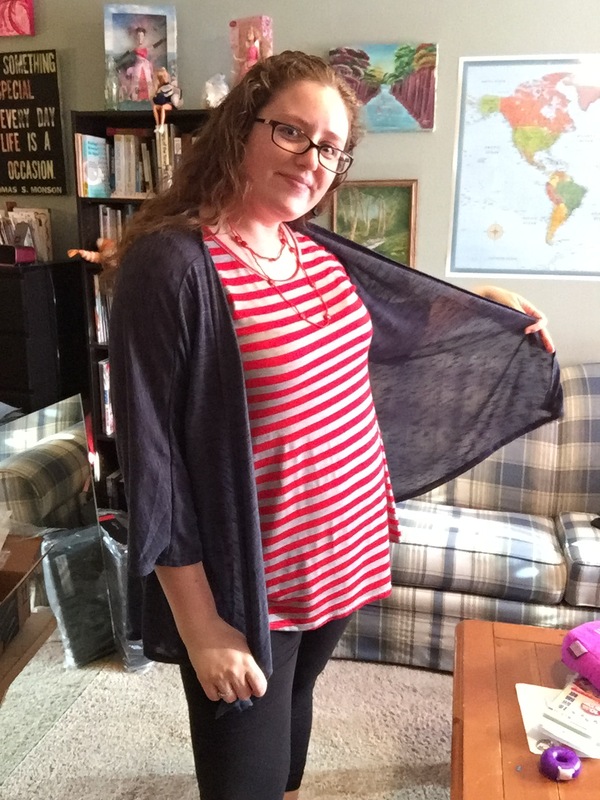 I heard about it through my local babywearing group and my first purchase was a pair of black leggings…and that is how I fell down into the LuLa rabbit hole! Lol. Now I must try more LulaRoe! I bought a Cassie because of this post! I just need to find a close person so I can try stuff on. I absolutely love how comfortable lularoe is!! I’m absolutely addicted! I went from owning zero pieces to owning oh…. 13… In one month. It’s changed the way I think about clothing! I just got my first pair of Lula leggings. I never want to take them off! Can’t wait to try more!! I just got my first pair of Lula leggings. I never want to take them off, they are so comfy! And the design, flying pigs, is so super cute! Can’t wait to try more styles!!! Love you Chloe! Sold on this brand b/c of you!! I bought a Cassie just to be nice for a friend who had a pop up. It was a Facebook pop up, so I was buying blind. When it arrived, I was hooked. I tried a bolder print which is completely out of character for me, and I received so many compliments. I think my favorite thing about LLR besides the comfort and how figure flattering everything is) is how it has updated my style. I was totally a jeans and t-shirt kind of girl. I never branched out much other than my church dresses. But after that first bold print, I have started trying things, both LLR and otherwise, that I would have never considered before, and have totally surprised myself. I feel feminine and attractive and I have LLR to thank for that. Absolutley in Love with llr. Been introduced to it about a month ago and already own 7 pieces! I haven’t worn dresses or skirts in 5 years because I always felt uncomfortable. I love the material and style like azure skirt and Nicole dress. The leggins are amazing too. It is perfect to wear and able to feel comfy, feminine, sporty, cute and not overdressed at the same time. So many different ways to wear an azure skirt and the clothes are comfortable to wear at home and great looking to wear going out. Love it and there will be more for me in the future!! I am in love with my new LLR pieces!! My favorite is the Nicole dress, I could seriously wear one every single day. I love my cassie’s too (well I love all my Lularoe really). The one thing I do differently is I dry my LLR (Yes everyone gasp now) on extremely low heat/delicate in my dryer. I have air dried it and I don’t like how it’s covered in dog/cat hair still, apparently the dryer removes a lot of pet hair 😉 I haven’t had any issues doing it this way, but I’m aware that my clothes could wear out faster since I’m drying them in a dryer.